A watch whose speaker in the upper half will tell the time loud and clear when you need it, just by pressing a button. Especially suitable for those who are totally blind or have low vision. The reasons why blind people prefer this type of watch to a Braille tactile one usually include the fact that their sense of touch is under-developed or that they went blind when they were older. 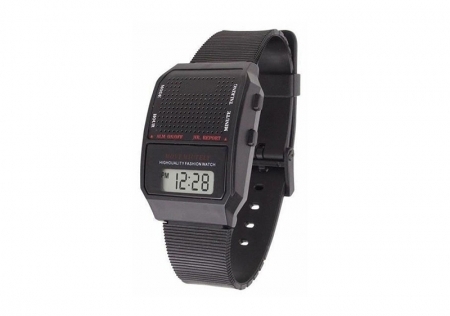 A device that facilitates their everyday actions to keep track of time is to be recommended. Likewise, many blind people prefer the comfort of a voice as when they press a button they immediately await a response. This is much easier for them in quiet environments or when there is low background noise.